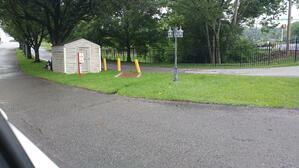 Can Wooden Storage Sheds Work as Waterworks Equipment Enclosures? At Safe-T-Cover, we have received an occasional inquiry about Tuff Sheds. Some common questions range from the simple “can I buy a Tuff Shed from you?” to the more complex “if I use spray-in insulation to an R8 factor inside a Tuff Shed, can I get an ASSE 1060 approval?” We can understand why someone looking to save money on the upfront costs of protecting their equipment may think this is a good idea. Since we get these questions, it made sense to discuss the differences between Tuff Shed products and Safe-T-Cover products. What we are really comparing here, is the difference between a wooden storage shed solution and an aluminum enclosure solution. The bottom line is that wooden enclosures such as Tuff Sheds are designed for the storage of equipment which doesn't need any sort of frost or freeze protection. First of all, Tuff Shed manufactures excellent products. They have a wide range of storage buildings from simple garden tool sheds to, well, ginormous multi-story cabins. The products are built on-site by a licensed contractor and the construction is built into the overall cost of the Tuff Shed. Their products are available all over the country and can be purchased from company owned factories and certain retail outlets. You can order virtually any size, shape and style of Tuff Shed to fit your storage needs. Their minimum prices are around $1000 for a "garden" quality 6' x 6' x 7.5' shed. Adding colors, siding, different roofing materials and other upgrades increase the price. Larger solutions cost around $3500 in Nashville, TN. They have an easy to navigate website which highlights all of their options. You may be as surprised as we were to learn that they even dabble in cryogenics! These prices and quality may sound like a sound choice for waterworks equipment protection, however, the materials used are not on the approved list provided by the ASSE. This means they are not subjected to the same rigorous testing as aluminum, fiberglass, or steel enclosures. Additionally, aluminum enclosures are designed to last for decades, but a wooden enclosure may need to be replaced relatively frequently due to interior water damage or other factors. The primary difference between Safe-T-Cover products and Tuff Shed products is their purpose. Safe-T-Cover enclosures are designed for protection and insulation of valves, meters and pump stations in the waterworks and plumbing industry. The enclosures are insulated, and if necessary, heated for climate control. Our enclosures have to meet strict ASSE standards for insulation, temperature ratings, and protection of your most vital water system controls. Tuff Sheds are durable, well-constructed, aesthetically pleasing storage facilities. Their structures are not designed to insulate or protect their contents from extreme temperature changes. The materials used for wooden storage enclosures like Tuff Sheds are not tested for use with waterworks equipment and are likely to degrade over time compared to ASSE 1060 approved enclosures. When it comes to backflow preventers, none of the Tuff Shed products should be used as a shelter because there is no accommodation for the relief valve. As you know, RPZ backflow preventers are capable of dumping huge amounts of water, and Tuff Shed products are not designed to alleviate the removal of that water. A Tuff Shed could be used to shelter a valve or pump station in temperate climates, and would certainly be better than a mesh cage because the wooden structure would conceal the contents. 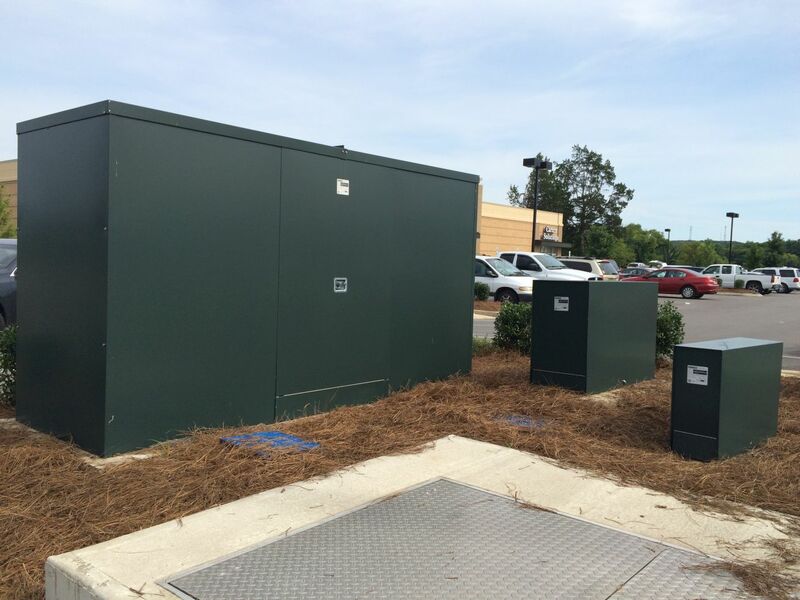 However, if you want to completely protect your indispensable waterworks valves, backflow preventers, meters, and pump stations from changing climates, vandalism, and theft, then install an ASSE 1060 approved enclosure instead of a shed.